Twitter’s making changes and nothing is sacred. Today’s change, while not as dramatic as making tweets editable or more than 140 characters, is definitely something that you’ll notice. The change is rolling out today for Twitter on iOS and Android, Twitter.com, TweetDeck, Twitter for Windows 10, embedded Tweets on the web, and the Vine Android app and site. Vine for iOS and Twitter for Mac updates are coming soon. The aim is to make all of its products easier to use. “Like” also works pretty well for, you know, Facebook, too. The company has been A/B testing this as far back as June, with people tweeting screenshots as soon as they noticed. Definitely couldn’t slip this one by daily users. I’ve always used favorites as a bookmark, a way to remind someone that it’s time to get coffee, a quick “hello,” a way to say “I know who you’re subtweeting,” a hug on a bad day and a smack when you’re acting a fool. And other things too. The heart/like combo fit all of those feelings and sentiments much better. This is yet another incremental change for the company that is hoping to lure in folks that might have tried its products before but just flat out didn’t get them. It also makes it more understandable for those who haven’t used it, but might have used another social service before with common icons and lexicon. 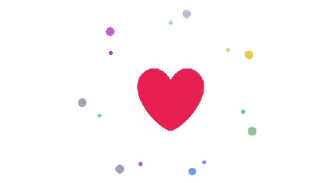 No, hearts and likes won’t change the fact that Twitter only has 66 million active users in the United States, but it’s another signal that changes are going to be coming fast and furious to kickstart growth. Favoriting certainly kickstarts connections, as I often click through to a person’s profile if they favorite something I tweet. From there I might follow them, favorite their stuff, introduce them to my followers by retweeting them, etc. Twitter CEO Jack Dorsey recently stated that Twitter is getting “easier to use every week.” I wonder what we’ll see changed next week?